If you are interested in joining one of AMCA’s hard-working committees, please read the description of what the committee does on the list below and contact the committee chair via email! AAAM/VAM/SAM–Charlene LaBelle The Committee administers the All Around Alaskan Malamute Program. This includes setting the rules, accepting and evaluating nominations, and awarding certificates at the 3 different levels. AGILITY–Wendy Corr & Laura Heft The Agility Committee holds malamute-only trials for the Regional/National and all-breed trials during the year. AKC DELEGATE–Patty Peel The Delegate attends and participates at quarterly AKC Delegate Meetings, votes as directed by the Alaskan Malamute Club, and gives timely reports on the actions taken at Delegate Meetings. AKC GAZETTE–Phyllis Hamilton The AKC Gazette columnist writes malamute breed columns for the Jan/Apr/Jul/Oct digital Gazettes. BREEDER EDUCATION–Ron Pohl –Publishes quarterly educational articles in the Newsletter and on the website. –Offers a specialized Breeders Education seminar or roundtable discussion at every National Week –Offers formal seminars or informal roundtable discussions at as many Area and Affiliate Specialties as possible. –Cooperates with the Membership Committee in nominating and training Breeder Mentors. –Coordinates with Health and Legislative Committees on topics of interest to breeders. CONFORMATION AWARDS/STATISTICS—Karen Berry The Conformation/Membership Awards Committee uses the show results as published by the AKC to calculate the top-winning malamutes owned by AMCA members in each calendar year, based on their achievements in the conformation ring. Also, the Committee recognizes the Top Juniors who compete in Junior Showmanship with a Malamute and hold an AMCA Junior Membership. In addition, the Committee is responsible for updating and maintaining the Conformation ROM database. Finally, the Committee issues certificates annually to the members whose dogs have earned Awards. More detailed descriptions regarding the Awards themselves can be found in Section I of the Standing Rules. ELECTRONIC COMMUNICATIONS–Tricia Till The Electronic Communications Committee maintains and updates the AMCA website as directed by the AMCA BOD and the various committee chairs. The ECC is also involved in sending out electronic communications to all AMCA members concerning the Newsletter and other publications put out by the AMCA. The ECC has various projects having to do with social media and other forms of electronic communications; these projects change as media changes. FUTURITY/MATURITY—Beatrice Bursten Manages the annual AMCA Futurity registrations and organizes the Futurity and Maturity competitions at the National. HEALTH–Sandi Shrager The Health Committee of the Alaskan Malamute Club of America focuses on health and disease issues within the breed. The committee: –Provides support to the public, the membership, and any other interested parties on health concerns of the breed. –Coordinates active research projects and research goals with the Canine Health Foundation, as well the assessment of future projects and needs. –Provides educational seminars on health and genetics at National Specialties. 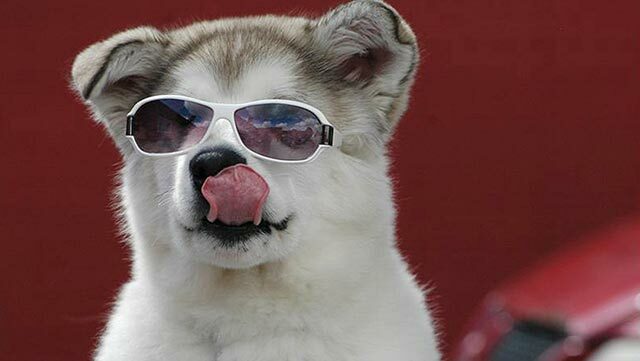 –Encourages health testing, DNA banking, and reporting of health issues in Alaskan malamutes. –Raises funds to support activities of the health committee (DNA banking assistance, sample collection of specimens of disease interest, seminars) as well as the AMCA Donor Advised Fund at the Canine Health Foundation. JUDGES EDUCATION–Gina Box –Produces and delivers Breed Education Seminars, including Hands-on Training, at the AMCA National, various Dog Show Judges Institutes nationally, and other venues upon request. –Maintains and administers the AMCA Judges Education Program, in accordance with AKC requirements –Makes seminar materials available on request. –Updates the required segments of the AKC online Study Guide. –Sets standards for Breed Seminar Presenters and Ringside Mentors and approves qualified volunteers. LEGISLATIVE—Margaret Cleek –Detects legislation affecting or of interest to dog owners, breeders, and enthusiasts –Evaluates the legislation’s impact –Notifies AMCA members in the affected state or area and asks them to contact their officials to oppose or support the legislation –Contacts the official(s) stating AMCA’s position on the legislation. MEMBERSHIP–Gina Schimming –The Membership Committee works to attract new members to the AMCA and retain current members in AMCA by enhancing Club membership. NEWSLETTER COORDINATOR–Holly Levinter The Coordinator edits all reports, Howls, etc. for spelling, grammar, punctuation, type font, and format. The Coordinator proofs the final draft of the Newsletter. The Coordinator also recruits and vets new area reporters and/or other positions for the Newsletter and submits eligible applications to the BOD. PERFORMANCE AWARDS/STATISTICS–Laura Heft The Performance Stats and Awards Committee publishes a regular Newsletter column for performance news and brags; calculates quarterly rankings for member-owned malamutes competing in Obedience, Rally, and Agility; and presents the annual Blackhawk Memorial, Flaming Flirt, and Oonanik awards. PUBLIC EDUCATION–Gay Histake The committee develops breed education materials for distribution to interested members of the general public. They work with members in the various AMCA areas to schedule public outreach events at dog shows, pet fairs, community events, schools, and other venues. Additionally, the committee will develop web-based content to reach those who seek breed information via the Internet. STUD BOOK–Dan Anderson Maintains the AMCA Studbook based on data received annually from AKC. SUNSHINE–Karol Knoop Prepares personalized cards to be sent on behalf of the AMCA to any member or immediate family of a member who is hospitalized or had a death in the family. TOP 20—Suzanne Bedell The Top 20 Committee publishes the quarterly and final Top 20 rankings and organizes the annual Top 20 competition at the AMCA National. WAYS&MEANS—Julie Edwards — Raises funds for the AMCA general account and assists other committees with fundraising ideas. WORKING DOG–Helen Schultz & Leesa Thomas — The WD Committee administers all facets of the WD Program. This includes reviewing applications for titles submitted by members, updating the WDC Facebook page, awarding WD and WDA/X Certificates, nominating dogs to the Working Hall of Fame, awarding Working ROM, and putting on the Working Dog Showcase at every National.